The Hotel Garnì Ischia is a small comfortable guesthouse surrounded by natural beauty. The family that have managed the hotel for more than thirty-five years offer a friendly welcome and warm hospitality. It is situated just 200 m from the lake, 400 m from the cable car and 700 m from the old town centre of Malcesine. 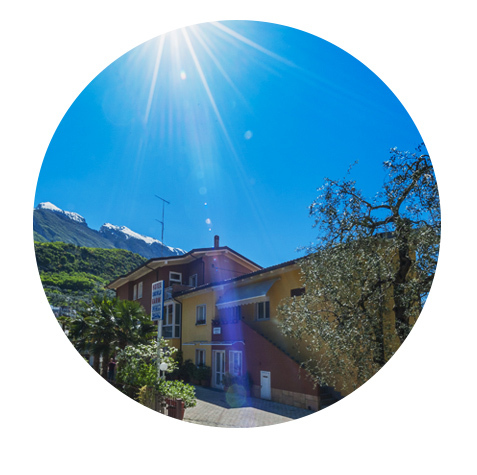 It is situated just 200 m from the lake, 400 m from the cable car and 700 m from the old town centre of Malcesine. Terrace with deckchairs covers , all of course without any additional cost.